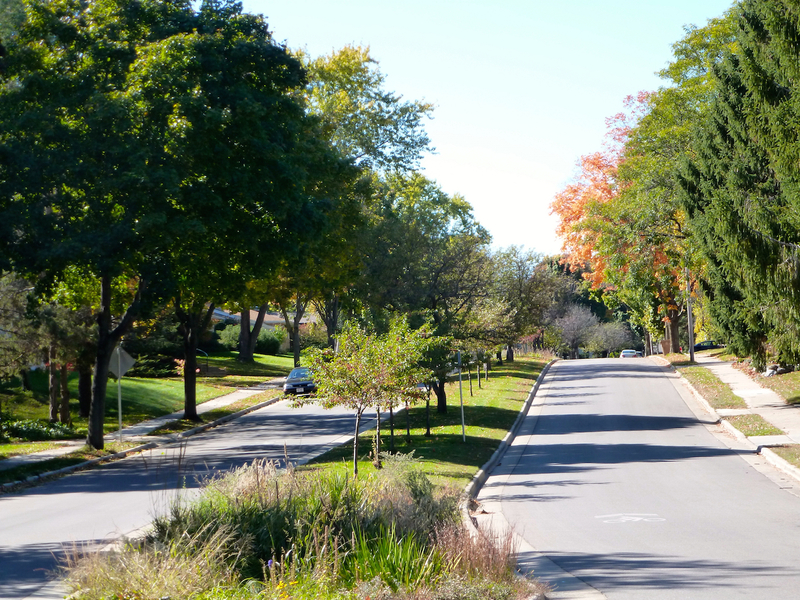 Listed below are homes for sale in University Hill Farms, a neighborhood located in Near West Madison, WI. Listings are updated multiple times a day from the SCWMLS. For more information about any of these University Hill Farms homes for sale, just click the "Request More Information" button when viewing the details of a property. We can provide you with disclosures, past sales history, dates and prices of homes recently sold nearby in Madison, and more. And, for your convenience, register for a free account to automatically receive email alerts whenever new University Hill Farms listings come on the market that match your search criteria. University Hill Farms on Madison’s west side was designed with accessibility in mind. Natural areas, schools and commercial districts are easily accessible by foot. 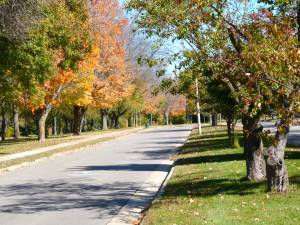 Garner Park is a fixture of the neighborhood to the west, and the Kenosha Drive Greenway connects it to Glen Oak Hill Park to the north. 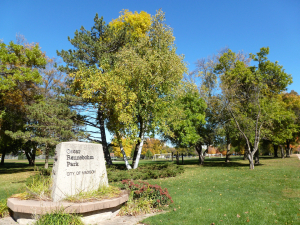 Rennebohm Park, meanwhile, connects to Hilldale Mall and the West Madison Center along University Hill Farms’ northeast boundary. And neighbors aren’t afraid to say “hello” to each other on their way to the park, either. University Hill Farms neighbors host community events throughout the year. Halloween parties, Santa visits, farmers markets and meet-and-greets for new homeowners are regular occurrences. University Hill Farms was developed in the 1950s on nearly 500 acres of farmland that the University of Wisconsin turned over for development. Neighborhood planners plotted University Hill Farms as a “complete community” with allotments for schools, churches, homes, office buildings, commercial buildings and parks detailed in the original plans. Today, single-family homes that were built in the 1950s and 1960s cover much of the neighborhood. New construction also carried over into the 1970s on a limited basis, which brings a variety of housing styles and features to the neighborhood. University Hill Farms offers a variety of homes at varying price points, which makes the area available to both first-time home buyers and families that have outgrown their starter homes. The neighborhood also offers a number of duplexes, condominiums and senior housing units. University Hill Farms neighbors are a short walk from Hilldale Mall, one of Madison’s premier shopping destinations. The area also includes a Sundance Cinema theater and a number of unique local restaurants. West Towne Mall and the Mineral Point Road commercial that features a variety of chain retailers and restaurants is about a mile from University Hill Farms. Middleton is about four miles northwest of University Hill Farms, and Downtown Madison is about four miles east. Owen Conservation Park is located northwest of the neighborhood. There, neighbors enjoy nearly 100 acres of natural land and panoramic views of Madison’s west side. For information about finding a home in the University Hill Farms neighborhood or to sell your University Hill Farms home, contact our team for a better real estate experience. University Hill Farms neighborhood is located on the West Side of Madison in MLS area Madison – W13. Below are more homes for sale in that area.